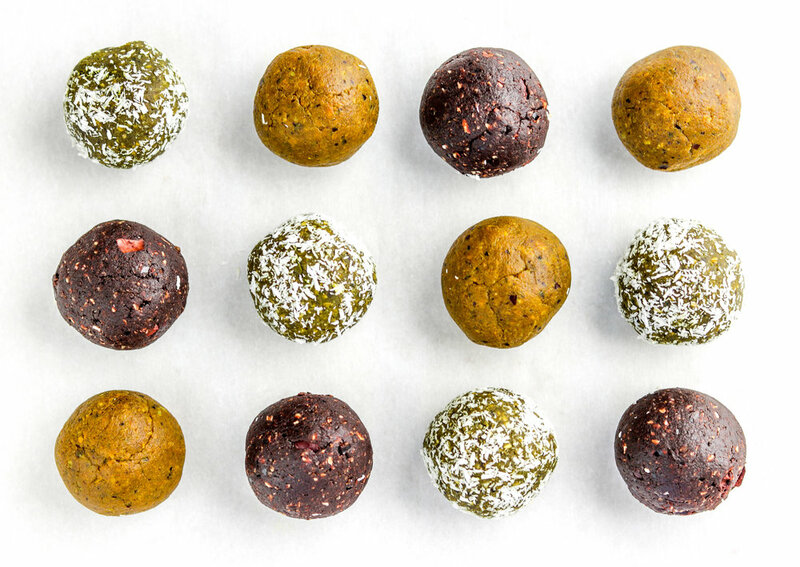 Take your bliss ball game up a notch by adding in nourishing adaptogens and super foods! 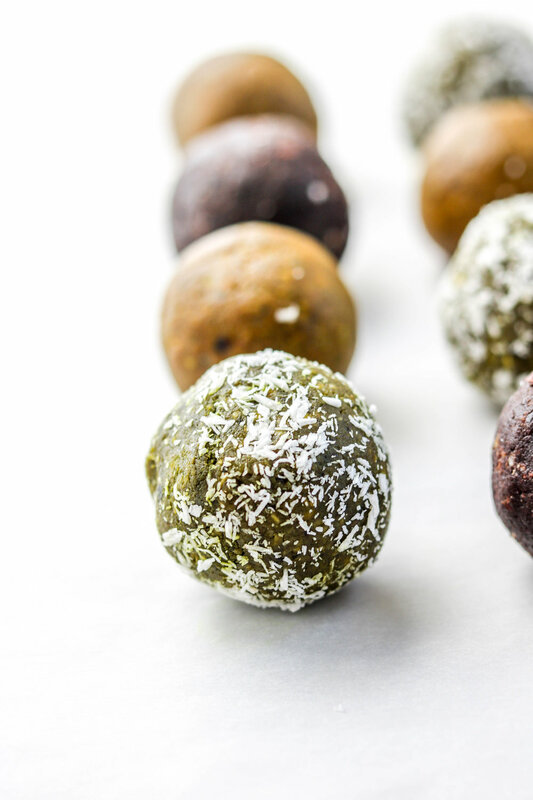 These tender delicious snack balls are packed with nutritious ingredients providing you with ample amounts of energy and other immunity boosting benefits. Adaptogens & superfoods are ALL the rage right now. My feed is always flooded with drinks with adaptogens and recipes with superfoods. I must admit, it took me a bit of time to jump on the adaptogen bandwagon- because mushrooms in my drink?? But once I tried it, I never turned back and it has become a part of my morning ritual to include adaptogens and superfoods into my morning beverages! But sometimes, when I’m in a rush I forget to add these magical ingredients so I decided to experiment with some bliss balls. 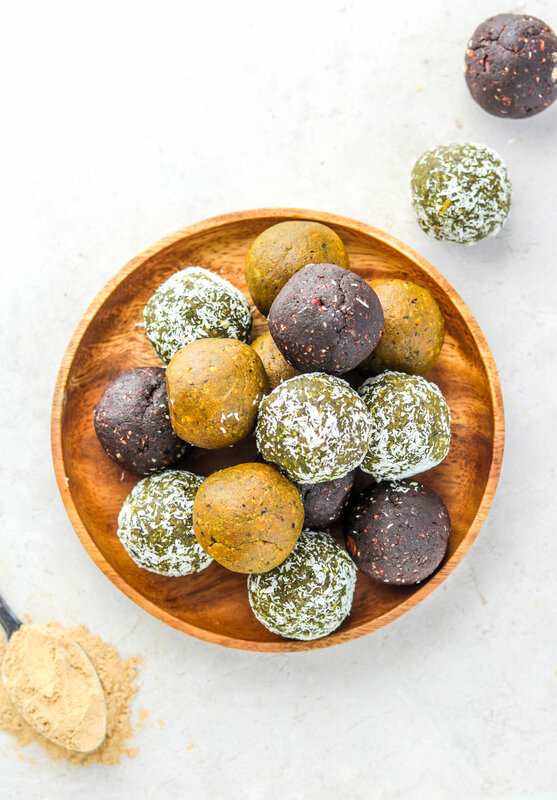 I was inspired by my three favourite drinks to have in the morning & evening: matcha, tumeric & cacao lattes and transformed them into bliss balls for an easy, on the go indulgence. They came out perfectly and have 2-3 everyday and I think it’s safe to say I’m slightly addicted to them. As for the brands I use for my adaptogens and super foods, I really like: sunpotion, encha, simply organic & navita organics! 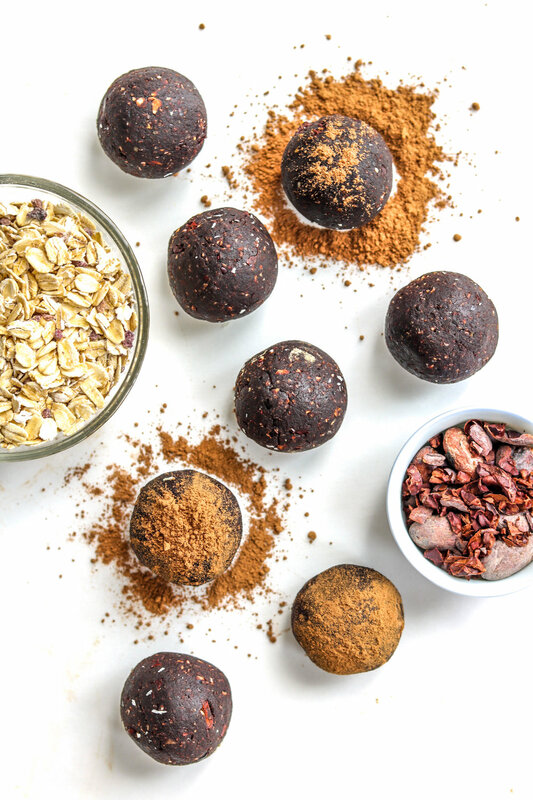 If you make any of these adaptogenic bliss balls, please share it and let me know what you think by tagging me on Instagram @lisakitahara, I love seeing all of your tasty recreations!